follow the hotel route marked red in the direction of Kurgebiet / Innenstadt to Hotel Bergfried & Schönblick. 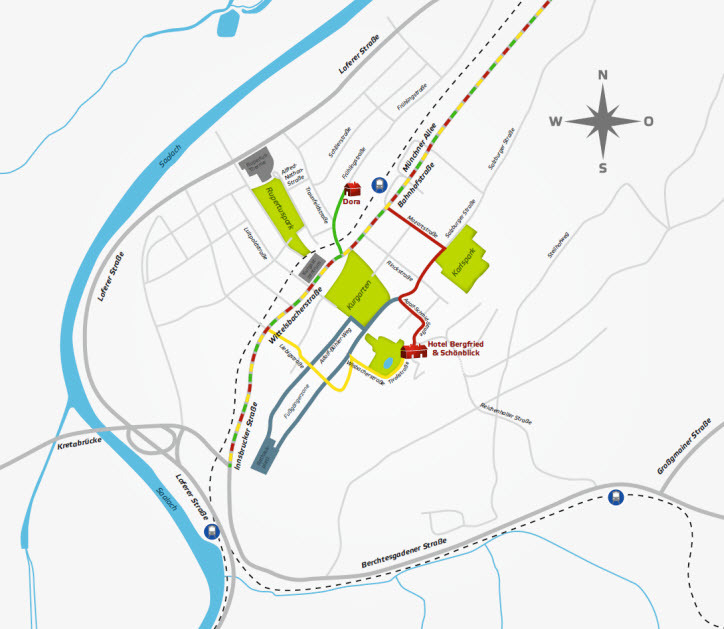 follow the hotel route marked green in the direction of Kurgebiet / Innenstadt to Hotel Dora. Turn right at the first side street after the station, after ca. 400 m you will find us on your right hand side.